MG Rover TF MGTF 115 120 135 160 1.6i 1.8i From 2002 on. MG Rover F MGF 1.6i 1.8i 1.8VVC From 1995 to 2002. MG Rover ZR MGZR with rear disc brakes. MG Rover 25 with rear disc brakes. Equivalent to MG Rover Part Numbers - EDP7019 and CLP7352. Suite à l'échange, par un neuf, de mon module de frein a main sur mon discovery 3 j'ai fait réparé l'ancien. Equivalent to part number SPB000063. Range rover L322. Independent Land Rover Specialists. 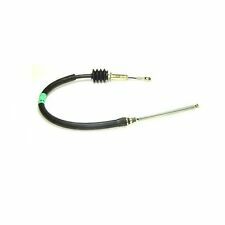 Right Hand Rear Hand Brake Cable. 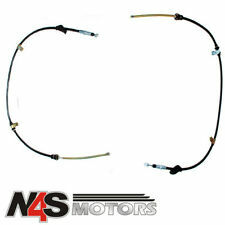 Part Number: ANR2215. 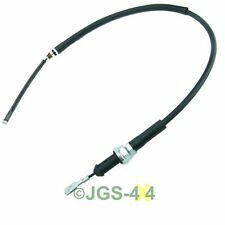 Range Rover P38 Handbrake Cable. Suitable for all P38 models. Product specifications are given but it is up to the end user to ensure that the product is fit for that purpose. Part numbers are used for identification purposes only and do not imply or indicate the identity of a manufacturer. 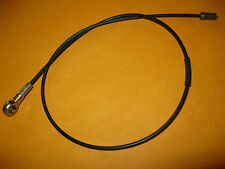 New old stock intermediate handbrake cable for Austin Rover Maestro van. 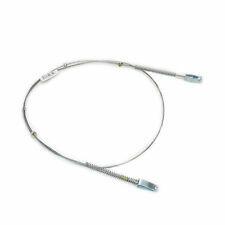 Part numbers: TPBC2133 QBC2133 FKB1541. 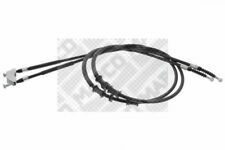 ROVER PART NUMBER IS SPB000350. ROVER 200, 25 AND MG ZR WITH DRUM BRAKES. 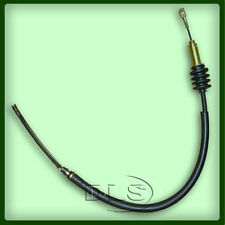 THIS IS A LEFT HAND REAR HAND BRAKE CABLE TO FIT A.
ROVER PART NUMBER IS SPB000340. 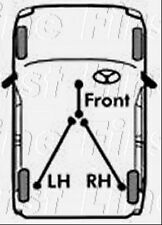 ROVER 200, 25 AND MG ZR WITH REAR DRUMS. 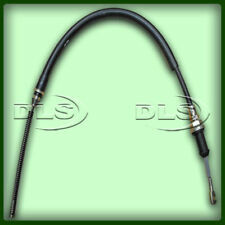 THIS IS A DRIVERS SIDE REAR HAND BRAKE CABLE TO FIT A. Equivalent to Land Rover LR014431 (used for reference only). 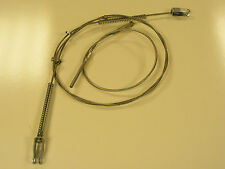 Handbrake Cable Assembly. Handbrake Cable Assembly - Left Hand. PARTS >> ACCESSORIES >> DEFENDER SERIES DISCOVERY 1 1989 to 1998 DISCOVERY 2 1999 to 2003 DISCOVERY 3 2005 to 2009 DISCOVERY 4 2010 to 2016 DISCOVERY SPORT 2015 on FREELANDER 1 1996 to 2006 FREELANDER 2 2006 to 2014 RANGE ROVER CLASSIC RANGE ROVER P38 RANGE ROVER L322 2002 to 2012 RANGE ROVER L405 2013 on RANGE ROVER SPORT RANGE ROVER EVOQUE UPGRADES >> TOOLS,OILS AND OTHER DIY >> Books Manuals and Gifts. Please read full listing description carefuly before you order to make sure the part does fit your car. 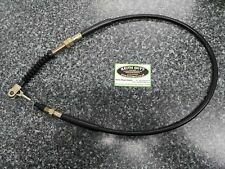 - ROVER 75 ALL MODELS 2 REAR HANDBRAKE CABLES & SET OF REAR HANDBRAKE SHOES NEW. 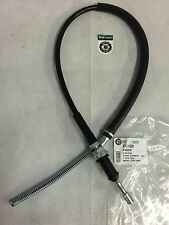 Land Rover Freelander 1 New Handbrake Cables (Pair). Land Rover Freelander 1, (2001-2006). 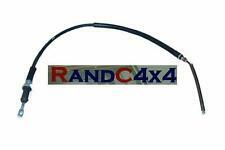 Freelander 1 Handbrake Cables. Freelander Parts. Series 2 & 3 - Defender 90/110/130, Discovery 1,2,3,4,5 & Sport - Freelander 1 & 2 - Range Rover Classic, P38, L322, L405, Sport & Evoque.